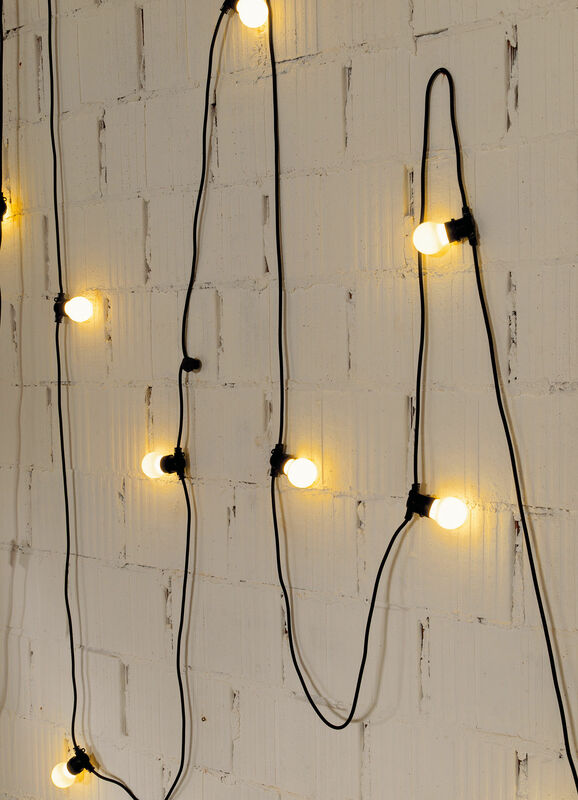 This long light garland (L 14.2 m) can be used indoors as well as outdoors. Supplied with 10 big LED bulbs with opal glass globes. 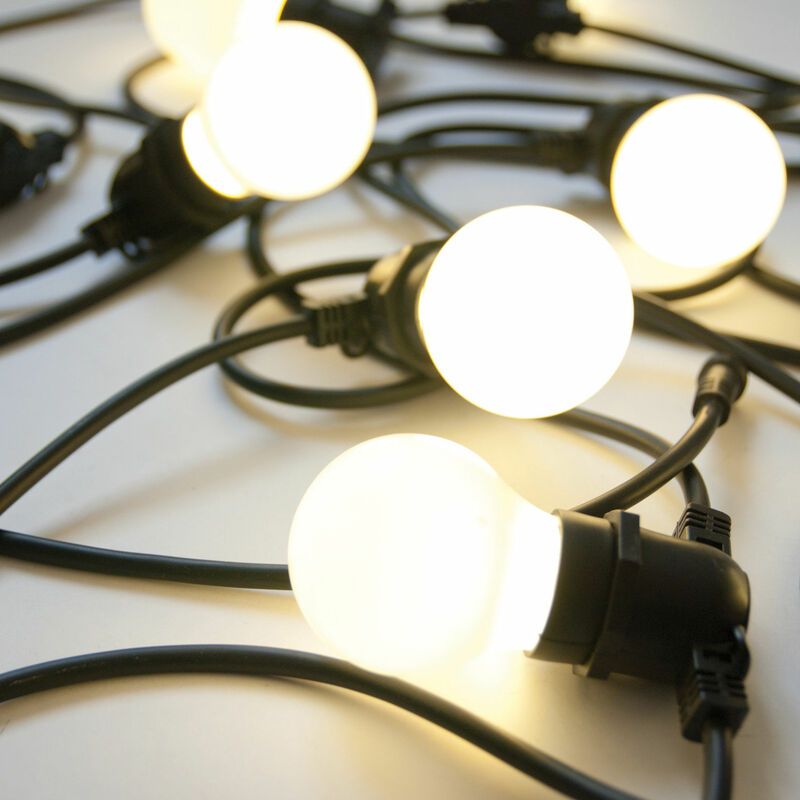 Bella Vista garland will create a beautiful pleasant and cosy lighting atmosphere. You can hang it on a wall, put it around a beam or hang it on trees in your garden... 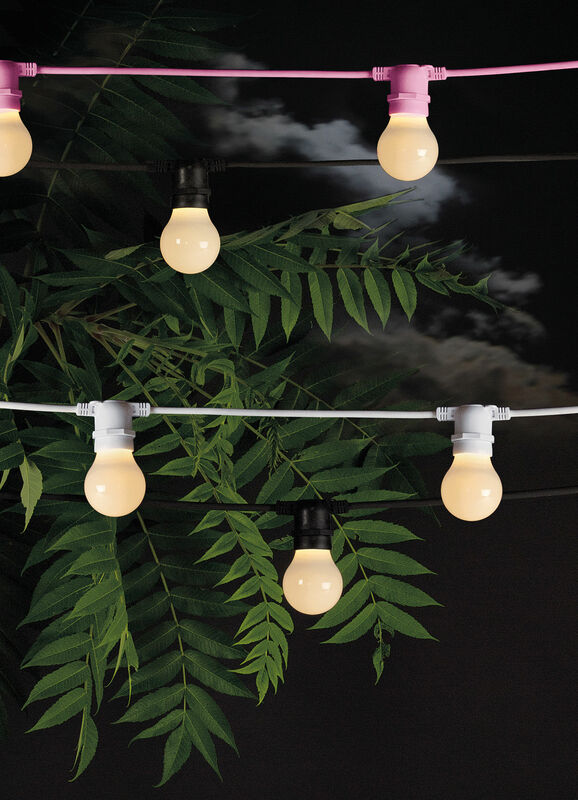 It will add charm to your open-air gatherings and parties!